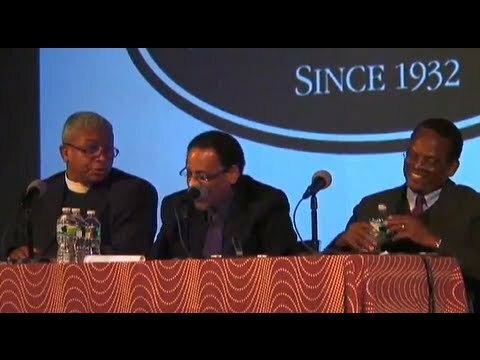 A panel of political, media, and education experts explore issues ranging from the use of satire as a political tool to black voter suppression. Michael C. Dawson is the John D. MacArthur Professor of Political Science and the College at the University of Chicago. He has also taught at the University of Michigan and Harvard University. Dawson received his BA with high honors from Berkeley in 1982 and doctorate degree from Harvard University in 1986. Professor Dawson was co-principal investigator of the 1988 National Black Election Study and was principal investigator with Ronald Brown of the 1993-1994 National Black Politics Study. His research interests have included the development of quantitative models of African American political behavior, identity, and public opinion, the political effects of urban poverty, and African American political ideology. This work also includes delineating the differences in African American public opinion from those of white Americans. More recently he has combined his quantitative work with work in political theory. His previous two books, Behind the Mule: Race and Class in African-American Politics (Princeton 1994) and Black Visions: The Roots of Contemporary African-American Political Ideologies (Chicago 2001), won multiple awards, including Black Visions winning the prestigious Ralph Bunche Award from the American Political Science Association. Dawson has also published numerous journal articles, book chapters and opinion pieces. Dawson's strong interest in the impact of the information technology revolution on society and politics, as well as his research on race are both fueled in part from his time spent as an activist while studying and working in Silicon Valley for several years. Dawson is currently finishing an edited volume, Fragmented Rainbow, on race and civil society in the United States as well as a solo volume, Black Politics in the Early 21st Century. Reginald Hudlin is a writer, producer, director and executive in the modern black film movement, creating movies such as House Party , Boomerang and Bebe's Kids . His work in television includes producing and directing The Bernie Mac Show , directing the pilot of the hit series Everybody Hates Chris and executive producing the animated series The Boondocks . Hudlin was also the first President of Entertainment for Black Entertainment Television, creating 17 of the top 20 rated shows in the history of the network. Hudlin sits on the boards of the Black Filmmaker Foundation, the UCLA Film, Television and Theatre Department, and the Hollywood Television and Radio Society. 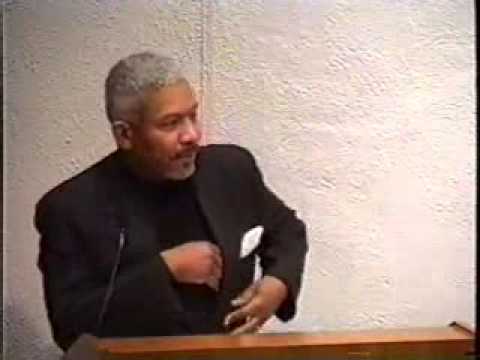 Youth activist Reverend Eugene Franklin Rivers, III was born on April 9, 1950 in Boston, Massachusetts. Rivers spent his early years in Chicago where his parents, Mildred Bell Rivers and Eugene F. Rivers, Jr. were members of the Nation of Islam. His father, as Eugene 3X, designed the masthead for Muhammad Speaks. Mentored by Reverend Benjamin Smith of Philadelphia's Deliverance Evangelistic Temple, Rivers graduated from Dobbins Vocational High School in 1968. He studied painting at the Pennsylvania Academy of Fine Arts, while becoming active in street level organizing and black church politics. In 1970, Rivers was a part of the Black Economic Development Conference working with Muhammad Kenyatta. He joined Lucius Walker and James Forman in the Reparations Movement. He attended Yale as an unregistered activist from 1973 to 1976. Officially admitted to Harvard University in 1976, Rivers was mentored by Dr. Martin Kilson. Recognized as one of the most effective crusaders against gang violence, Rivers founded Azusa Christian Community in 1984 in the Four Corners section of Boston's inner city Dorchester neighborhood. As President of the National Ten Point Leadership Foundation, he is working to build new grassroots leadership in forty of the worst inner city neighborhoods in inner city America. Rivers has appeared on CNN's Hardball, NBC's Meet the Press, PBS's Charlie Rose, BET's Lead Story, and National Public Radio, among other programs. He has been featured or provided commentary for publications such as Newsweek, The New Yorker, The New York Times, the Washington Post, the Los Angeles Times, the Boston Herald, and the Boston Globe, as well as periodicals such as the Boston Review, Sojourners, Christianity Today, and Books and Culture.